Category ID 240 does not exist. FITS 99-07 BUSA/01-08 GSXR1000,750,600. 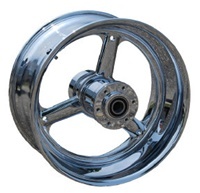 THE PRICE LISTED BELOW IS FOR A RC COMPONENTS REAR REPLICA WHEEL IN POLISH FINISH. YOU CAN ALSO CHOOSE FROM CHROME OR POWDERCOATING IN THE WHEEL FINISH DROP DOWN BOX. AFTER YOU HAVE SELECTED YOUR FINISH PLEASE BE SURE TO CLICK ON UPDATE PRICE. FOR FUTHER ASSISTANCE PLEASE CONTACT US AT 1-866-411-BIKE. FITS 08-12 BUSA/09-12 GSXR1000. 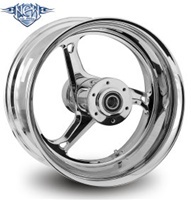 THE PRICE LISTED BELOW IS FOR A RC COMPONENTS REAR REPLICA WHEEL IN POLISH FINISH. YOU CAN ALSO CHOOSE FROM CHROME OR POWDERCOATING IN THE WHEEL FINISH DROP DOWN BOX. AFTER YOU HAVE SELECTED YOUR FINISH PLEASE BE SURE TO CLICK ON UPDATE PRICE. FOR FUTHER ASSISTANCE PLEASE CONTACT US AT 1-866-411-BIKE. FITS 99-07 BUSA/GSXR1000,750,600. THE PRICE LISTED BELOW IS FOR A RC COMPONENTS REAR REPLICA WHEEL IN POLISH FINISH. YOU CAN ALSO CHOOSE FROM CHROME OR POWDERCOATING IN THE WHEEL FINISH DROP DOWN BOX. AFTER YOU HAVE SELECTED YOUR FINISH PLEASE BE SURE TO CLICK ON UPDATE PRICE. FOR FUTHER ASSISTANCE PLEASE CONTACT US AT 1-866-411-BIKE.